Millions of cars are bought and sold online every year around the world. This thriving market opens the door to many people looking to buy vehicles at discounted prices. All vehicle makes and models can now be found at lower prices online, compared to local dealerships. The internet bridges the distance between seller and buyer while door-to-door auto transport services take out the hassles associated with taking possession of the new car. Continuing the discussion, let us look at some of the benefits of door to door shipping, along with the reason why it should be one of your concerns. Read on. What makes shipping an issue? Buying vehicles online transcends borders. Anyone can buy a vehicle from anywhere in the world, which gives you more choices and higher savings. Despite the benefits, shipping remains a notable concern. EasyHaul address this concern by recommending and facilitating the best auto shipping services in the US, according to your needs. Door to door auto shipping service allows you to ship your new vehicles to anywhere in the world at affordable rates, without having to run from pillar to post. In the US, it is illegal in some states to drive a vehicle straight from the auction floor. You will first need to get the car registered with the DMV within your state before you can enjoy your ride. That makes reputable auto shipping services indispensable in the US. By opting for auto shipping services in the US, you can afford to take care of important business, as opposed to making the trip to collect the vehicle and driving all the way back. Used cars often need a some sort of servicing or repairs before they can be certified as being fit for the road. It is therefore inadvisable to drive the vehicle before it is checked by a mechanic. If you need door to door auto transport service, EasyHaul has got you covered. 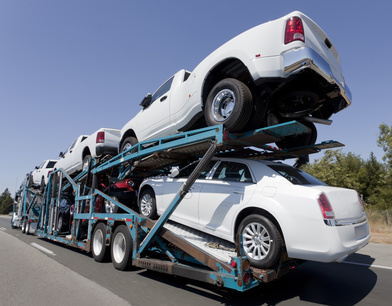 We can help facilitate comprehensive services by arranging for everything to do with the shipping of your vehicle. We worry about every little detail, so that you can enjoy complete peace of mind and get your vehicle transported anywhere in the world, without a scratch. Place a shipping order today or call +1 (360) 597 9320 to speak with one of our auto shipping experts.